Therapeutic massage improves your quality of life by lowering stress, treating muscle aches and muscle-related conditions, and restoring flexibility. 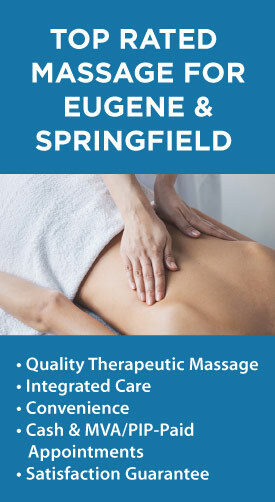 At Dreamclinic Massage, our goal is to make massage therapy in Eugene, Cal Young, Santa Clara, and Junction City easily accessible for busy people. We offer a convenient schedule and employ only highly skilled and caring specialists. You get a truly therapeutic experience every time, on your schedule. To book online at https://taieugene.fullslate.com, register, select your desired location, then choose the appointment slot you’d like.